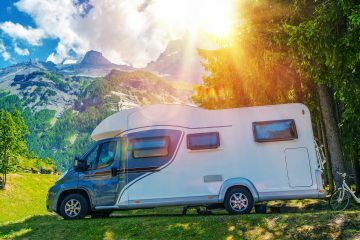 Travel trailers are always a fun way to go adventuring without spending the money on a nice hotel room or just fun for luxury camping. When on these adventures, however, you may want to entertain or spend as much time as possible outside. A feature that is great for this mentality is an outdoor kitchen! 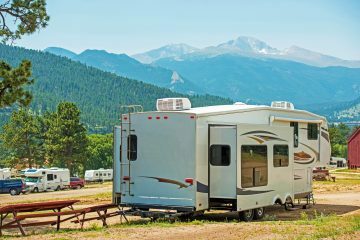 What are the 7 best travel trailers with outdoor kitchens? 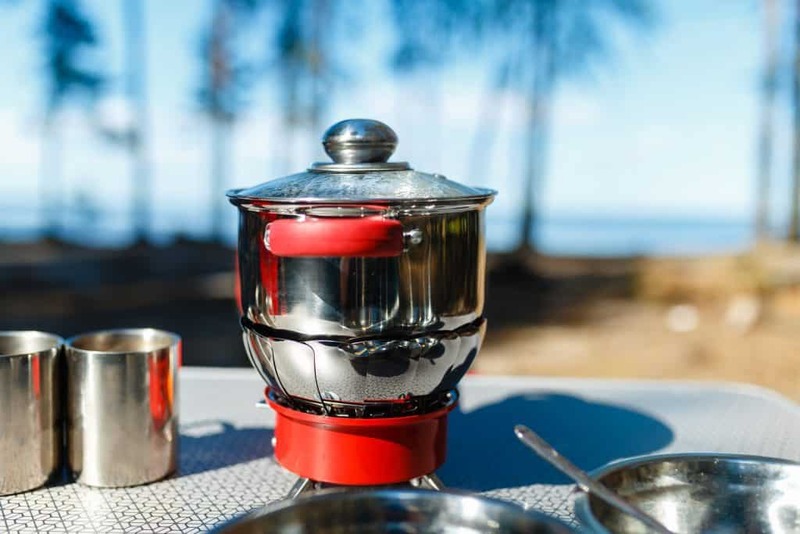 These travel trailers I have listed, not in any particular order, are some of the best I have found with outdoor kitchens great for any purpose you choose. Continue reading to learn more in detail about each one so you might find out which you want! 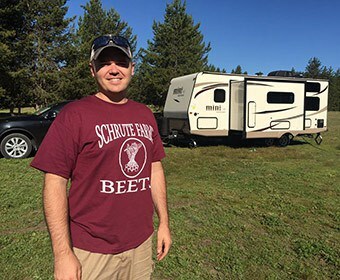 This trailer is great for a big family adventure. It has two bedrooms and plenty of places throughout to sleep a large group of people. It is not only big enough to sleep a large group of people, but it has enough space to function well with all of those people too. It may only have one bathroom to accommodate all 8 people, but it has enough space to seat and entertain the group as well. This trailer has a small, full kitchen, despite being so crammed. It has a 3 burner stovetop, a microwave above the stove, a double sink, a stainless steel double door refrigerator, and a little bit of counter space. Above all of this is some cupboards to hold stuff as well. There is a booth style dinette for the eating area with cupboards overhead as well. Next to the kitchen is also a big couch to help seat more people. On the wall against the master bedroom, there is an entertainment center as well. The master bedroom has a queen bed with a wardrobe on either side of the bed along with overhead cabinets above the head of the bed. The master bedroom has a sliding door on either side of the bed to get in as well. It is a tight space, but enough to accommodate the occupants comfortably. On the opposite end of the trailer are the bathroom and other bedrooms. The bathroom is adjacent to the kitchen and has a tub/shower combo set up, a vanity with a decent-sized countertop, and a toilet. The bedroom is quite a unique feature as well. On one side it has a bunk bed over a futon and on the other side is a partial wall with step up to a bunk bed at the top. This bedroom also has a larger wardrobe for storage. On the outside of the trailer, where the partial wall is, there is a nice outdoor kitchen set up. This outdoor kitchen has a mini fridge, a slide out grill, a small sink, and some storage cabinets. It is small enough to easily hide away but big enough to entertain your entire group. Length 34 ft. 3 in. Ext Height 10 ft. 4 in. Grey Water Capacity 35 gal. 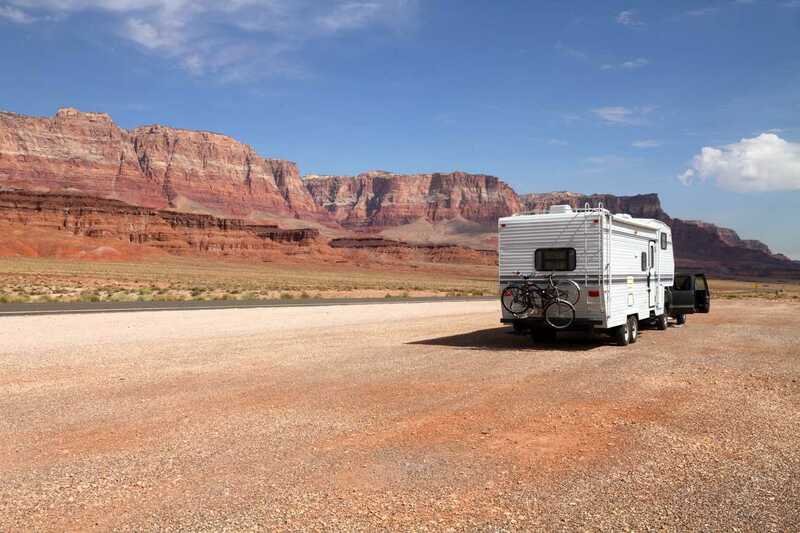 This trailer is sure to be a luxury camper for a family. It has a spacious layout with plenty of entertainment and all of the necessary accommodations. It also has more than enough storage space for anything you may want to bring. There are also two bathrooms in this trailer so you won’t have to worry about any jam ups or having too many people in the trailer. The main entertainment room doubles as another bedroom. This room has a sofa that opens up to be a hide-a-bed which faces a partial wall that has a full entertainment center in it and a bunk bed on top. Against the wall between the sofa and entertainment center are two large closets and a nice fireplace. This room also has the half bathroom in it as well. It is simply a small bathroom with a toilet and vanity setup for convenience. In the next room over, there is another entertainment set up and the kitchen and dining area. There is a theater seat that faces a corner wall that has a fireplace in it and a TV above it. Next to this theater seat in a nice, free-standing dinette. The kitchen is rather spacious as very functional as well. It has a large fridge, a 3 burner stovetop, a microwave, a large pantry, an island with a double sink, and lots of counters and cabinet space. On the other end of the trailer are the master bedroom and the full bathroom. The master bedroom is rather spacious. It has a standard queen size bed with plenty of space to walk around. At the end of the bed, there is a pullout ottoman and a dresser and TV against the adjacent wall. Against the end of the trailer is a spacious, walk-in closet with a washer/dryer prep on one side and shelves on the other. The bathroom is quite luxurious as well. It has a nice vanity set up, a toilet, a large shower with a seat and skylight in it, and a linen closet. On the outside of the trailer where the partial wall is from the inside, there is a nice outdoor kitchen. This kitchenette has a 2 burner pullout stovetop, a mini-fridge, a microwave, and some cabinetry. This space is great for entertaining outside throughout the day or in the evenings. Ext Height 12 ft. 11 in. Black Water Capacity 78 gal. This trailer is quite the anomaly! It is a smaller trailer, but can easily sleep eight people. It has all of the necessary accommodations, as well! The main room doubles as an entertainment room and a kitchen, which helps to accommodate for some of the space taken out. This room has a decent fridge, a 3 burner stovetop, a microwave, a double sinks, and some counter space and overhead cabinetry. Across the room, there is also a large-sized pantry and a large, u-dinette. In this room against the master bedroom wall is an entertainment center as well. The master bedroom is rather small, with a queen sized bed, small wardrobes on either side of the bed, a shelf above the head of the bed, and a curtain-style door to get to either side of the bed. Despite the lack of space, this room is still big enough and quite cozy for its occupants. On the opposite end of the trailer are the bathroom and the double bunk bed. The bathroom has a corner vanity set up, a toilet, and a larger sized shower. The double bunk bed is right next to the bathroom and has a corner access point to the beds between the fridge and bathroom door. This access point has a curtain-style door, as well, for more privacy. This trailer has an outdoor kitchen on the outside of the double bunk beds. This kitchenette has a small sink, a 2 burner stovetop, and a mini-fridge. It is super convenient for entertaining your large group without trying to jam all of you in the small trailer. Int Height 6 ft. 9 in. Grey Water Capacity 39 gal. This RV is very cozy and can fit quite a large brood. It has psace to sleep 8 people and you have room for entertainment and common living too! What’s not to love? The bedroom is in the front of the trailer and has a nice setup. There is a queen size bed with shirt closets on either side and overhead cabinets as well. The bathroom has a nice 2-door entry feature as well: one entrance from the bedroom and one from the hallway. This bathroom, besides the cool dual entry feature, has all of the necessary accommodations. There is a small sink with a vanity set up, a toilet, and a radius shower. At the other end of the trailer is a dual purpose room. It serves as a private entertainment room and another bedroom. This room has an entertainment center on one side, with a bunk above, and a small seat across from the entertainment center converts to a bed with another bunk bed above. The main room of the trailer has the kitchen and living room purposes covered as well. There is a small section of wall that has a stovetop, a refrigerator, and a microwave. There is a large pantry on the next wall and an island in the middle of this chunk of the room with a large sink. There is a large U-dinette on the opposite side of the trailer for dining purposes. For the living room portion, there is a small sofa that converts into a bed next to the dinette. On the kitchen side of the room, there is an entertainment center facing the seating area with a closet next to it for more storage. One of the great features of this trailer is its great entertainment set up, and included in this is an awesome outdoor kitchen. This outdoor kitchen has a decent amount of countertop, a mini-fridge, and a pullout grill. These features are great for entertainment and they keep the crowd outside where there is more space to socialize too, without having to separate yourself to prepare food. Length 37 ft. 7 in. Ext Height 11 ft. 1 in. Refrigerator Size 11 cu. ft. Cargo Deck Size 0 ft. 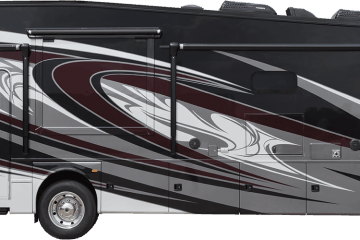 This RV is great for housing lots of people and entertaining. It has everything you would ever need, including plenty of storage and a super nice outdoor kitchen to help with entertaining. The bedroom is in the front of the trailer and has quite a nice setup. There is a queen bed with individual closets on both sides. There is also a personal door into the bathroom so you won’t have to walk all the way out into the hall. The bathroom has a nice dual entry feature so you can access it from both the front bedroom and the hallway as well. The bathroom has a small sink with a vanity set up, a toilet, and a radius shower. On the opposite end of the trailer is a dual purpose room. To the left is a nice bunk bed with lots of underneath storage. Against the back wall there is a nice wardrobe to store things as well. Finally, the wall to the right has a small dinette with a top flip-up hinge bunk overhead and the table set converts into a bottom bunk as well. This room is not only a great room for kids to sleep in, but it also is a nice, private dining area in the trailer. The main room is perfect for hosting a large group of people. 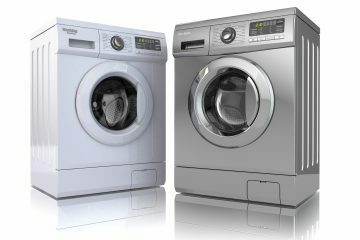 It accommodates the needs of both the kitchen and living room. The kitchen area has a 3 burner stovetop, a microwave, a large refrigerator, a hutch and pantry, and an island with a double sink. The living room area has a larger sofa and an entertainment center great for entertaining, a closet for more storage, and a larger dinette for more seating, eating, and entertaining. This trailer has a nice outdoor kitchen as well. It has everything you’d need so that you wont need to go in and out of the trailer a ton when cooking. This kitchenette has a mini fridge, lots of kitchen space, a 2 burner stovetop, and a small sink. Ext Height 11 ft. 2 in. Int Height 6 ft. 10 in. Grey Water Capacity 64 gal. This trailer is great for a smaller group and has quite a unique set up. The bedroom is in the very front of the trailer and the bathroom completely separates it from the main area. It has a very open floorplan so, though it may be smaller, it is still very spacious. The front bedroom is a decent size and quite cozy. It has a nice queen bed with wardrobes and nightstands on either side of it. There is also a small closet in the corner of the room off the bathroom. The bathroom is very well put together as well. It has through doors from the main room on one side to the bedroom on the other side. There is a small sink with a vanity, a radius shower, and a toilet to cover the basics. There are also some great additions in here such as the linen closet and wardrobe as well. The main room has all the necessities. There is a tri-fold sofa facing a nice entertainment center and a dinette kitchen table to cover the common seating and entertainment. For the kitchen, there is a nice fridge, a microwave, a 3 burner stovetop, overhead cabinetry, a pantry, and a nice double sink. This trailer also has a nice outdoor kitchenette for further entertainment. This kitchenette has a mini fridge, a small sink, and a 2 burner pullout stovetop. To make this even better, this kitchenette sits centered under the awning so you are nice and shaded while you cook. Length 31 ft. 2 in. Fresh Water Capacity 42 gal. Grey Water Capacity 30.5 gal. Black Water Capacity 30.5 gal. 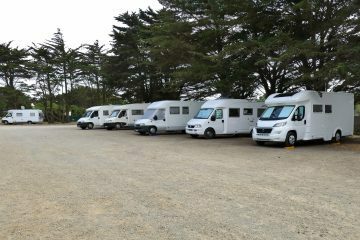 This trailer is great for accomodating a large family or group of people. Not only does it have lots of space in the main area, but it has a back bedroom with 2 sets of bunk beds. The bedroom on the front side of the trailer is nice and cozy and has plenty of storage. There is a nice queen bed and a wardrobe on either side of the bed. There is also some overhead storage above the head of the bed. The back bedroom has plenty of sleeping places with the two sets of bunk beds, one set on either side of the trailer. There is also a nice closet in this room between the beds for storage. The bathroom is right next to this room and has a toilet, a sink with a large vanity set up, and a large shower. The main room is set up perfectly for guests or a nice family night as well. There is plenty of room for everyone to hang out here. For the kitchen portion, there is a nice refrigerator, a 3 burner stovetop, a microwave, a double sink, a pantry across from the bathroom, and some overhead cabinetry. The living room area has a u-dinette, a small sofa with overhead cabinetry, an entertainment center, and some bench storage by the front door. The outdoor kitchenette is a nice feature as well. There is a mini fridge, a 2 burner stovetop that is a pullout verision, a small sink, and a lot of counterspace. Length 35 ft. 9 in. 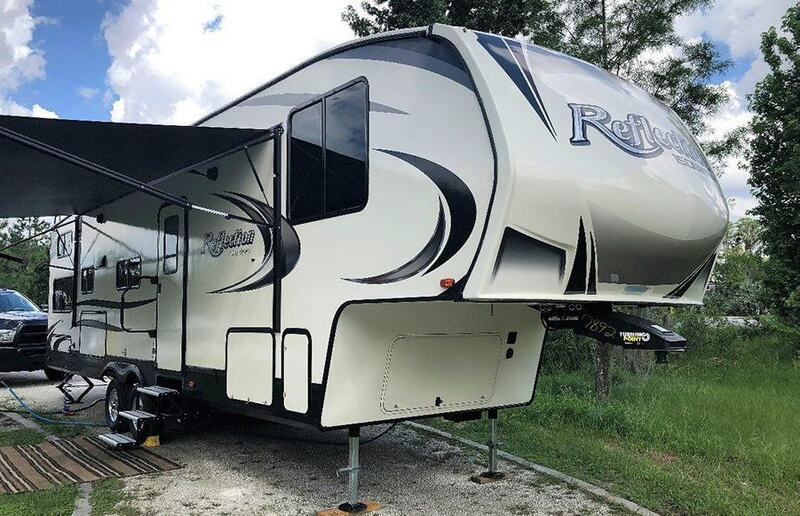 What are 5 popular fifth wheel floor plans with decks?